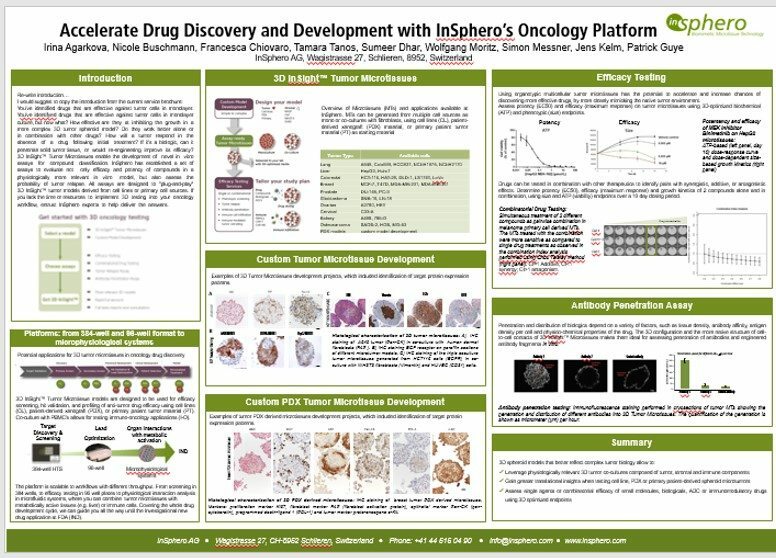 Visit InSphero at the AACR 2017 Annual Meeting to learn how our 3D InSight™ Oncology Services can help you accelerate development of anti-cancer drugs and immuno-therapeutic strategies, using 3D tumor spheroid models that more accurately reflect the complex biology of tumor microenvironments. 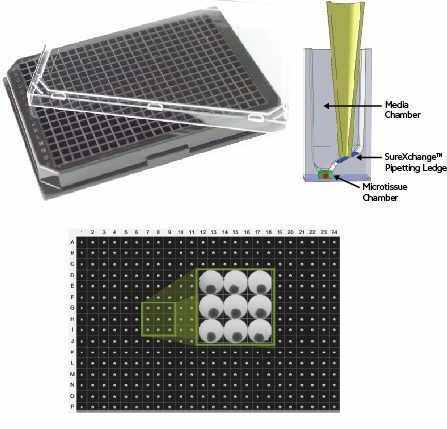 We’ll also be previewing our new GravityTRAP™ 384 Microtissue Platform, a first-of-its-kind 384-well platform for high-throughput and high content imaging designed and optimized specifically for use with spheroids. 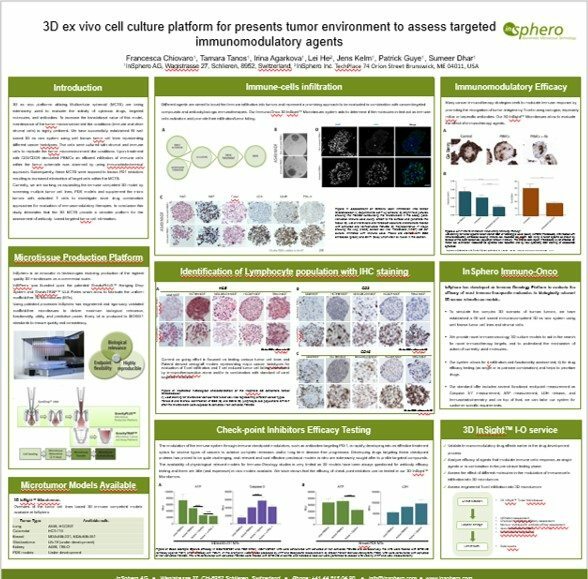 Visit one of our posters, or join us at Booth 1029 to browse our in-booth poster hall. 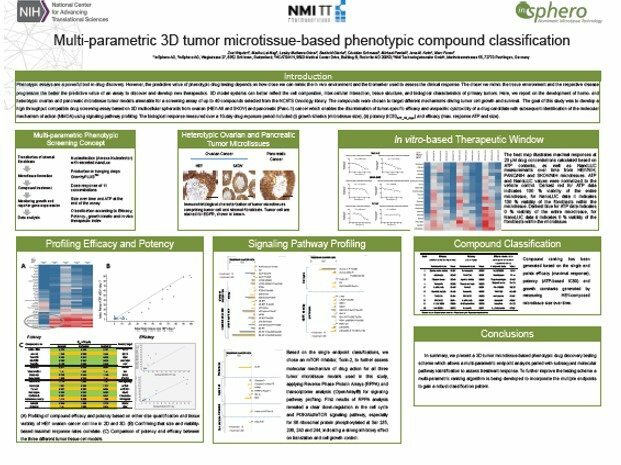 The InSphero 3D InSight™ Oncology Services team can guide you through preclinical in vitro evaluation of your immuno-therapeutics in physiologically relevant 3D tumor microtissues. 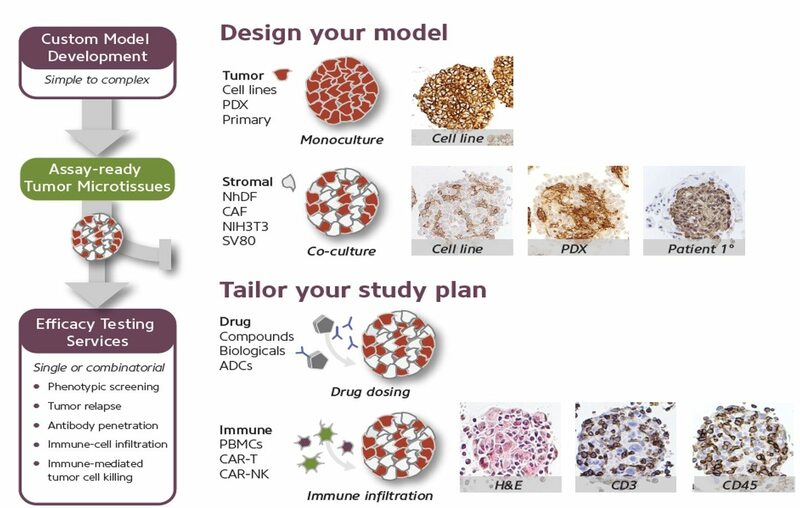 Our 3D experts can build complex tumor spheroid models comprised of tumor, stromal, and immune components with the reproducibility required to ensure assay consistency and confidence in data interpretation. 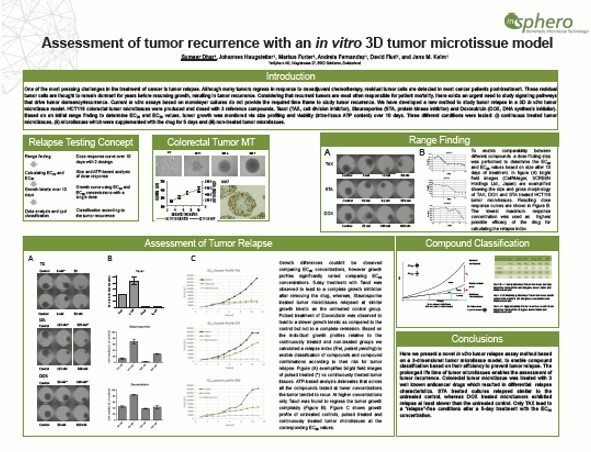 At AACR 2017, we’ll be previewing our new GravityTRAP™ 384 Microtissue Platform, a spheroid-optimized high-throughput format for tumor microtissues compatible with today’s state-of-the-art liquid handling and high content imaging systems. 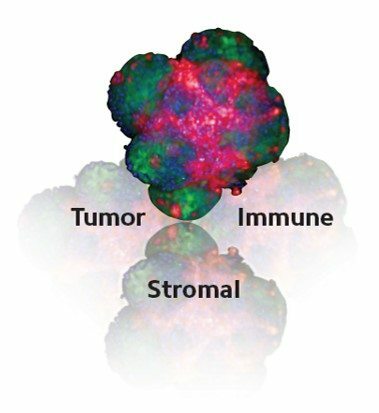 You’ll soon be able to harness the benefits of working in more physiologically relevant 3D tumor spheroid models without the fear of aspirating your microtissues and with a flat glass base plate for superior imaging. 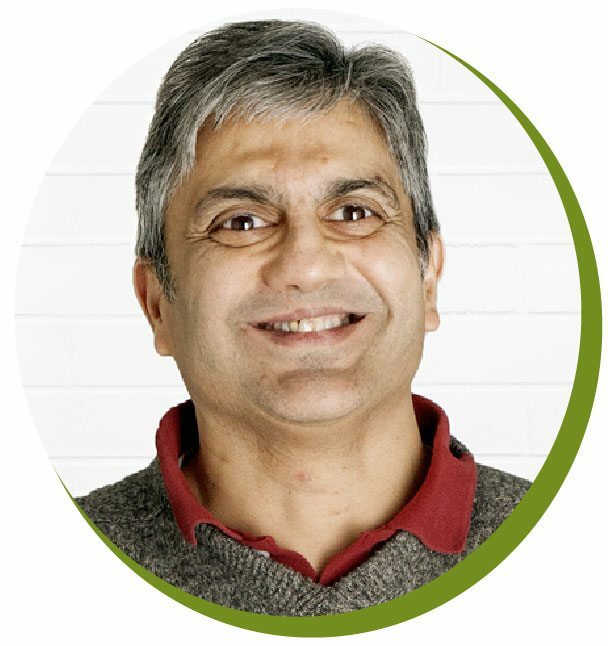 Watch the video then stop by our booth to learn more.